As you’d expect, this strain has the classic skunky aroma, rich with earthy tones, somewhat musky which also includes fresher tones of citrus and pine. The smoke certainly doesn’t disappoint and is every bit as heavy and potent as you would expect from such a strain. There’s a distinct undertone of sourness that accompanies the predominantly earthy and skunky flavour profile, which has a strong hint of classic hash and sweet spiciness. It may not be the most delicious strain per se, but it’s a guaranteed crowd-pleaser nonetheless. The high starts off with a euphoric rush that really stimulates the brain cells and then settles into a relaxing body buzz. A sense of overriding happiness and contentment throughout the experience comes as standard. Medically, people use Skunk #1 to help with chronic pain, poor appetite and sleeplessness. It is also routinely used in small doses for the treatment of glaucoma, while in higher doses has proven effective in the treatment of certain movement disorders. 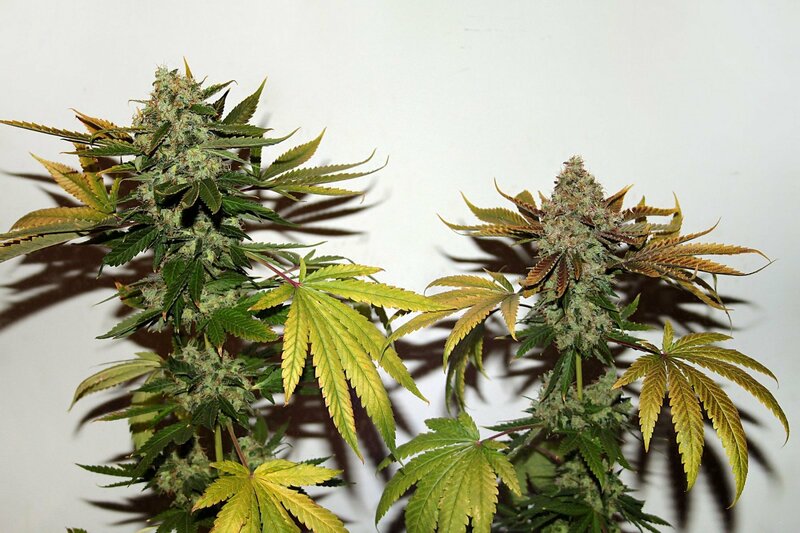 Skunk #1 seeds produce plants of medium height, which grow to between 100 and 120 centimeters. The plants have a high bud to leaf ratio and tend to change from a light to a dark green as they mature. THC is in the 12 to 15 percent range. The buds are dense, light green to golden color, and covered in sparkling crystals. This plant was designed for indoor growing, but its hardiness means you can also succeed with it outdoors. Indoors, it is happy in soil or hydro and has a flowering time of about nine weeks. The plants have good resistance to pests and mould and you can expect to harvest about 500 grams per square metre. Outdoors, Skunk #1 cannabis will grow in cooler northern climates, just make sure to plant it somewhere that gets lots of warm sunshine and it has rich, fertile soil to feed off. Harvest in the Northern Hemisphere is in mid-October. This is a strain that is certainly iconic and to grow it from seeds I would only purchase Sensi Seeds but these are a part of many Breeders collections.